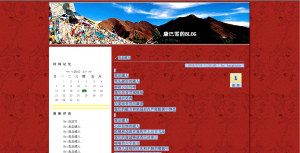 High Peaks Pure Earth has been following the online activity related to pride in Tibetan identity. Our first posting about this was in the run up to Losar, Tibetan New Year. 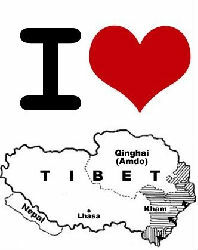 More recently, we noted the continuation of these feelings expressed online in the aftermath of the Kham earthquake. At this my pen came to a stop, and I felt a certain frustration and loss. The thought of an emaciated chestnut horse out on the prairie as it collapsed in the grass, thin, helpless and dirty streaked my face with tears − who had abandoned this poor horse in these desolate grasslands? Not a glimmer of light on the vast prairie but for countless miniscule starlights across the broad sky. The chestnut horse lay by a sudden bank of shingle, and the shingle was as cold as black iron with clusters of grass struggling to grow between the stones. Inky tones grow in the colors of dusk. And I’m thinking: a bank of shingle on the vast grasslands as affectionate as this by the horse, as though guarding it, and all memory of it will be lost in the last gasps of this life. The light from myriad stars outshines the moon, hidden in cloud; the moon sees all this, but sees not the recovery of life. The light from myriad stars does not stop, as though it cannot wait, but their power is so faint and remote! This horse of the imagination is frail, its body young and immature. It has probably never had the joy of running for miles across its land, let alone had the wind in its mane leading it to neigh long and hard. All that is from an age when it was young, in the memories of horses before they were lost, when it nuzzled close to its mother and drank from her udders in sunny days and every day was as cosy as the next. When wind and rain drove down to where it hid below its mother’s knee, it sheltered from disaster on disaster. But now it is left alone in the world, with nothing left but memories of black iron beside it in a desolate scene where soon it will die. The black iron is silent and the grass upon it bends to the wind. There are no words, no questions, no answers for anything. All that remains is a wisp of a thought that accompanied by the night will pass from these vast grasslands. 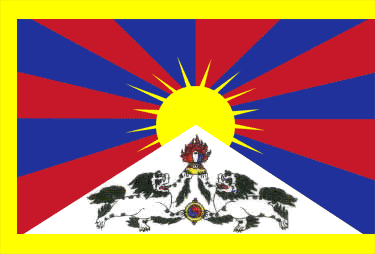 High Peaks Pure Earth will continue to translate poems and online pieces on the theme of “I Am Tibetan”.